A glaring fact from the home owning world: most homeowners lose a couple hundred dollars a year from neglecting very basic energy settings. And we get it. You just spent the last 7 weeks rearranging your life and now – Finally! – you’re in your new home. But before you get too comfortable and move on with your life, take a look at this list to make sure you don’t unknowingly lose energy (and money) from right under your nose. Specifically, these 6 general areas are quick to check, and you can often see the savings immediately. Fans – Did you know that it makes a difference which way your fans are rotating? 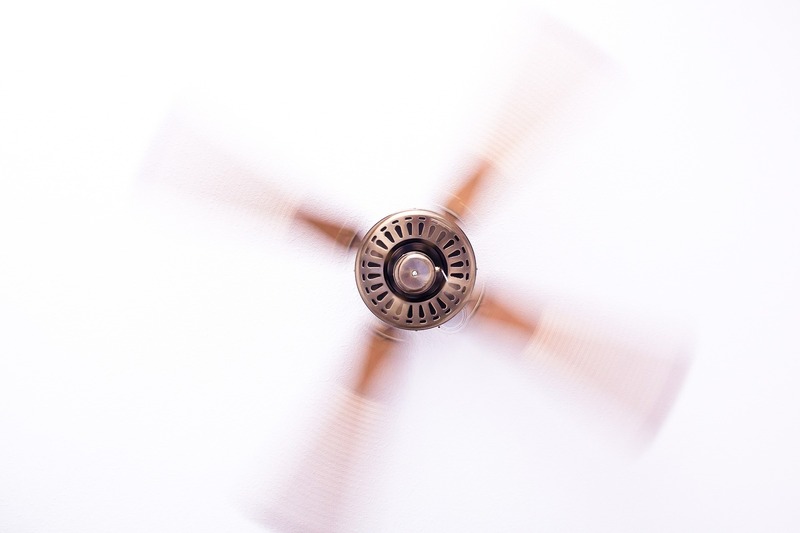 In the summer months program your fan to blow straight down, blades turning counter-clockwise when you look up at it. Keep the fan at medium or high to feel the effects. In the cooler winter months the fan should be spinning clockwise to draw the room air up towards the ceiling and force the warm air down and around the home. Just a hint: To switch the fan’s rotation direction, just flip the little switch on the body of the fan motor. Remember, the desired direction is based off looking up at the fan. Units – How old are your heating and cooling units? Depending on the age and condition of your units you may be better off using a small electric heater to heat your space. They often are a much cheaper and more efficient way to heat an area. Depending on gas prices these small, plug-in heaters can be especially helpful if your home is heated by propane. With your air conditioning unit, how does the filter look? Start fresh in this new home and consider a reusable filter. They may cost about $30 up front as opposed to the $4 for a disposable one. But over time you will quickly make your money back. Whether you are renting or buying, consider buying a programmable thermostat. Your landlord could potentially fund this investment if you’re renting, so ask. And if you own the home, it is definitely worth the few extra dollars. You can adjust the thermostat before you leave and have them set to start back up 15 minutes before your arrival. Plus, you save money while you sleep as the thermostat adjusts the temperature before and after you wake. Experiment with your heating and cooling units during the night. It might be worth adjusting the temperature a couple degrees at night to save money over time. You likely will even get a little better sleep due to the temperature change! 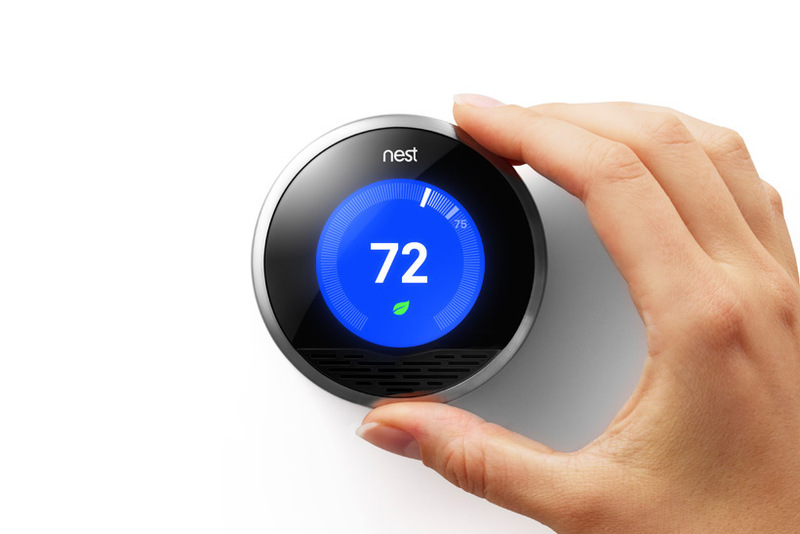 Nest, a wifi-enable programmable thermostat learns from your usage patterns overtime (when you typically turn the unit up or down) and generates algorithms that automate the fluctuation of your A/C and heating needs. Again, a bigger up-front commitment, but easily pays for itself overtime. Usage – Sinks and toilets can do you in. Take a quick scan and see if you have any leaking tanks. Toilets often have loose fixtures that leak water or pull more water than needed. Over time this waste can add up. A great way to save on toilet water is putting a large rock the size of a brick, or a jar full of rocks inside your toilet tank. This will require your tank to fill up less and therefore not use unnecessary amounts of water each flush. Keep an eye out for your sinks. Sometimes fixtures leak under the sink or behind the nozzle which wastes water while rotting the area around the sink. This is a quick fix. Inside the spout’s joint there is a rubber ring that rots and destroys the tight seal, which is commonly the culprit. Check ahead of time and see if there is a sprinkler system. Make sure sprinklers are never set to water the lawn during the heat of the day. 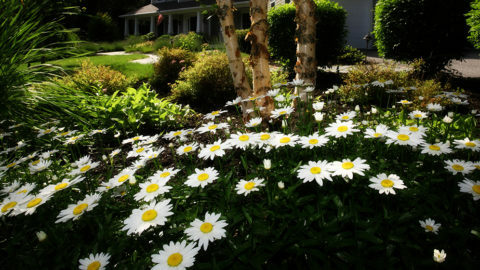 It’s best to water the lawn in the cool of the night, as you waste water during the day due to heat evaporation. Payments – Did you know that you pay for water twice? Water gets pumped into a home and then out as sewage; both flows are charged on the monthly utility bills. Essentially most people pay for their water twice every month. Take a look at your water meter and see if there are two. You can request for a separate meter to measure water usage for irrigation, swimming pools, etc. Whatever water is used for purposes like irrigation will be subtracted from your sewage bill because you no longer are paying for the waters’ “exit”. Temperature – Don’t go above a certain temperature, or pay extra. Everybody loves a hot shower, but one place many homes lose energy is through their hot water heater settings. It is important to check your water heater upon moving in and make sure it is not set higher than the Occupational Safety and Health Administration standard of 140° F. The Environmental Protection Agency even argues that setting the maximum to 120° F is a safer setting, protecting skin from scalding temperatures. Do a little more research and decide on 120° F or 140° F, but anything higher than 140° F can waste $36-$60 annually because of the standby heat loss. Keep in mind when you leave for extended periods of time it is a good idea to turn off the electric heater or turning the gas heater down. You spend a lot of money to heat the water for your morning shower and oh man, is it worth it! 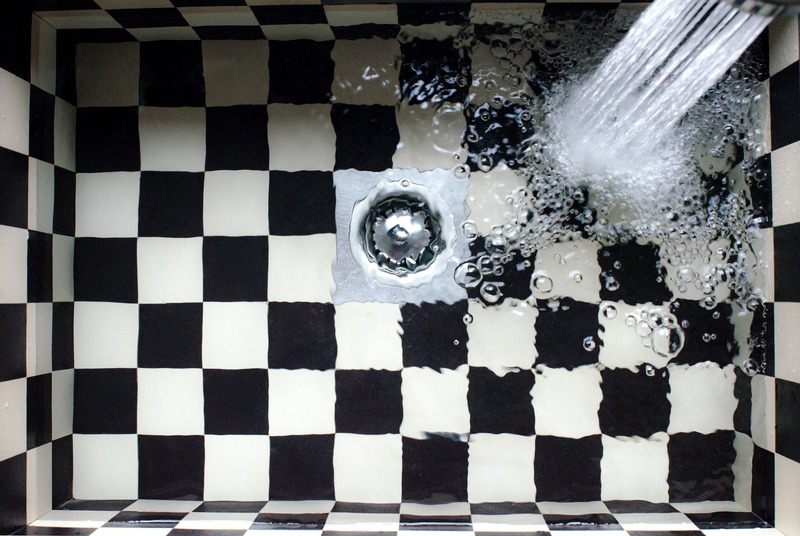 Keep doing what you’re doing there, but there is a simple thing to check to make sure that water is streaming to your shower as efficiently as possible. Current building code requires R3 insulation on hot water pipes. Typicaly that water is being piped across your house in copper or pex and a lot of energy can be lost between the water heater and shower head. Make sure those pipes are wrapped. First, crawl into your attic and make sure you see insulation covering all the beams that make up your attic floors. If not, hire a local insulation installation company and have them coat the attic with another layer. It’s a quick fix and not too expensive. Not quite as easy of a fix, but definitely worth looking into is the type of insulation used in your home. 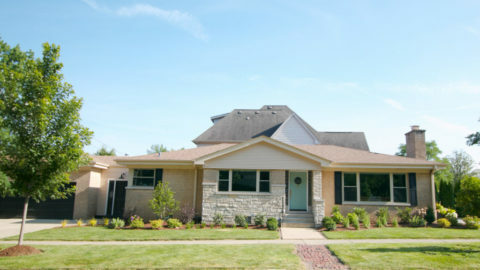 Most homes are insulated with fiberglass, which does a decent job for the upfront investment. Although the cheaper option initially, there are some other options worth exploring. Both cellulose insulation and spray foam offer great benefits over fiberglass. Cellulose typically offers a higher level of insulation per inch than fiberglass and is fairly competitive on price. 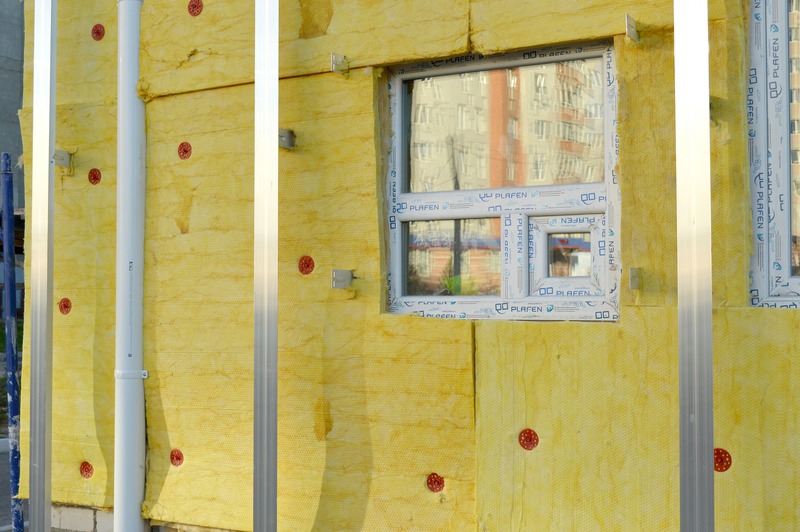 Most upscale new homes are insulated with cellulose. A slightly more expensive alternative is spray foam. Spray foam offers an even higher level of insulation and living in a house insulated with spray foam has been compared to “living in a YETI cooler”. Spray foam is up to 50% more effective at insulating homes than traditional insulators. Depending on the climate you live in, it could be worth it to upgrade to spray foam. Sealing cracks can be done simply by plugging or caulking holes or penetrations in faucets, electrical outlets, windows, siding, doorframes, cracked mortar and rim joists. Before all your furniture is moved in, it’s a good idea to make note of obvious air leaks. Newly constructed homes and older homes alike can have flaws in the baseboard/flooring junctures that can result in energy loss over time. Many home’s energy bills consist of 5-30% losses from gaps in junctures. These to be sealed before installing attic insulation so that warm, moist air doesn’t break through the insulation or cause mold, rot, or ice dams. Make sure that the ducts are ridged, properly connected, sealed and insulated where needed. Updating your insulation could save you up to 15% each month, which adds up to $180 per year. Whoa. Seal the windows for small cracks. 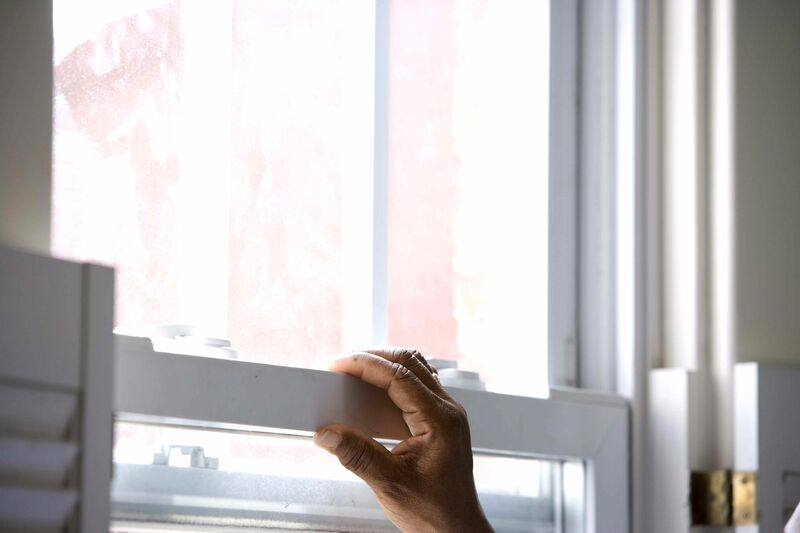 Consider replacing the windows depending on their age. To save money, you can use inexpensive, expanding foam or caulk available at your local hardware store to seal cracks in the following areas where cold or warm air typically escapes. 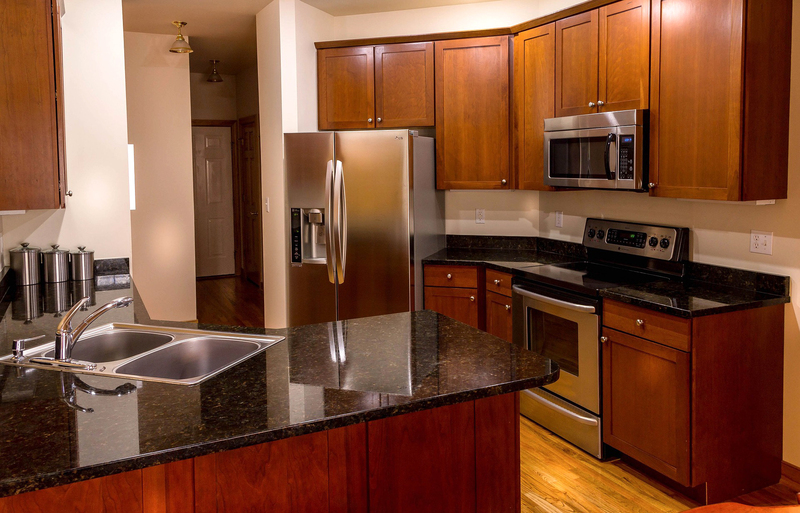 You are moving and have a lot of new expenses…the last thing you want to spend money on is replacing appliances. It is absolutely worth your time to take a second and think about how much time you will be saving from day one. Energy Star is an outstanding organization and without a doubt a great resource for energy tips and saving money. They have research for big and small appliances explaining the value behind using products they approve big or small. They cover lightbulbs, TVs, washers, dryers, refrigerators, furnaces, fans and more. Many of the Energy Star products don’t cost anymore than conventional brands and EPA products won’t grant the Energy Star Label unless its figures show that you will recuperate the extra outlay within five years or less on electricity and water costs. How amazing is that! Reduce the usage in your fridge and freezer by keeping it full. Filling water bottles or jugs is an easy way keep the appliance from wasting energy trying to cool the free space. Many state and local governments offer financial incentives for upgrading appliances to newer, more energy-efficient models. Isn’t that amazing? Check the online database of State Incentives for renewables and efficiency. Most people lose an average of $600 a year on their utility bills. 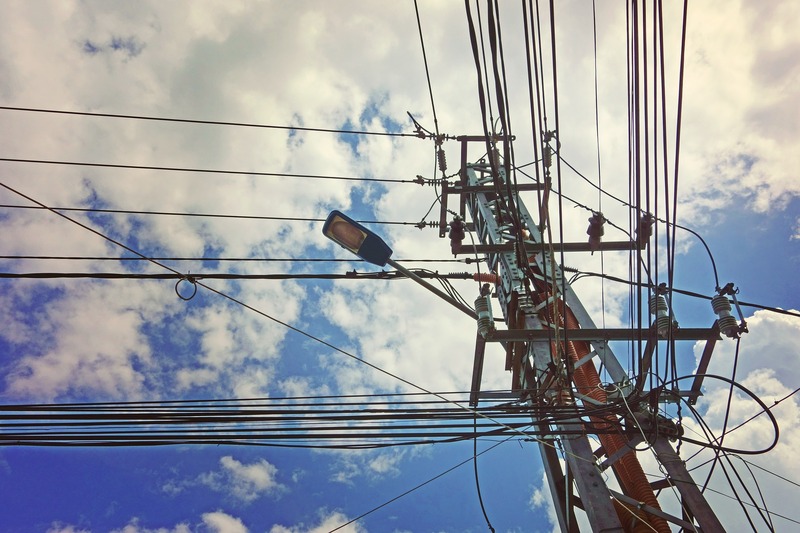 Make sure you have the best utility service providers available to you. 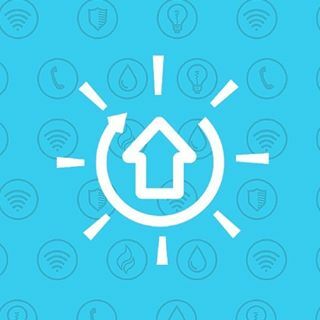 If you haven’t moved into your home yet I would highly recommend using MyUtilities.com. My Utilities is a free service researching all the service providers available to you. They compile all your options for internet, gas, TV, security, and electricity, and make it easy for you to compare your options. After you choose which providers you want to use they make all the connections for you. Setting up your utilities goes from 5 hours of headaches and phone calls to a quick fifteen minute set up. 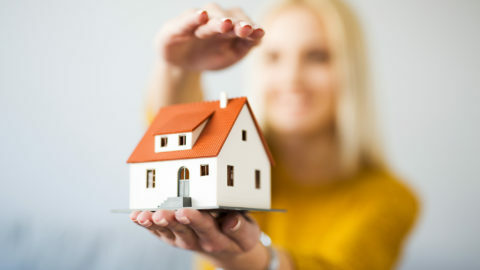 MyUtilities.com will make your move as simple as possible while saving you a few hundred dollars on your bill. Not bad.